It’s been over a year since Apple released new iPad Pros in June 2017, so it’s about the right time for Apple to update its lineup. Apple did release a new low-cost iPad, simply called “iPad” this past spring, but the iPad Pro line is where the company adds new features and cutting-edge technology. There’s rumblings that Apple may release its new iPads this fall. The company usually announces new iPhones in September, and sometimes holds a spillover event in October for other products it didn’t get to during the iPhone launch. 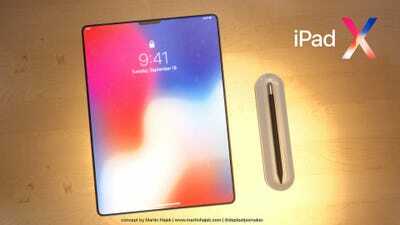 Apple is expected to reduce the size of the bezels around the iPad, enabling more screen in the same size tablet. AppleApple now only sells a regular ‘iPad,’ and two iPad Pro models only differentiated by screen size. 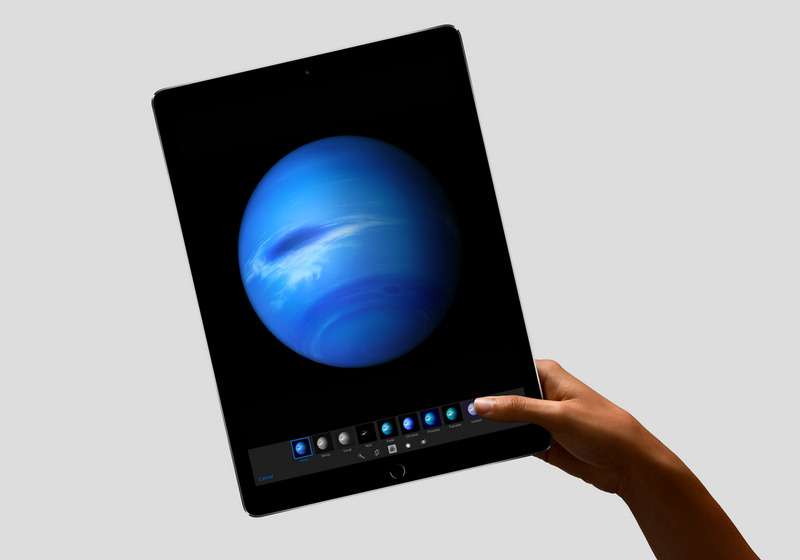 This means the current 10.5-inch iPad Pro could stay the same size, but will sport an 11-inch screen. Stephen Lam / GettyThe bigger iPad Pro has large bezels. 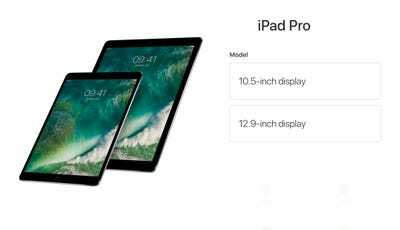 The 12.9-inch iPad Pro, Apple’s largest tablet, is likely to merely shrink in overall dimensions, instead of getting a bigger screen. Plus, both iPad Pros will likely get faster processors, too. Apple is also likely to add Face ID to its iPad lineup. 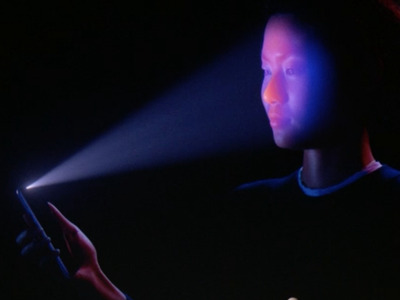 Face ID is the facial recognition camera system currently utilised on the iPhone X. Some clues have been discovered in Apple’s device code pointing to this possibility. 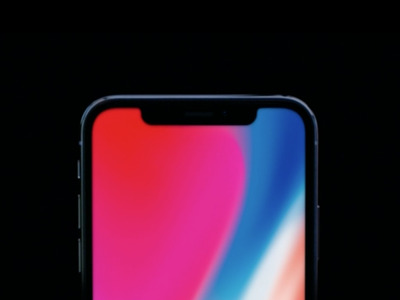 One open question is whether the Face ID camera will cut into the screen, like the notch at the top of the iPhone X. But there’s plenty of space around the bezels to hide a Face ID camera, even if they are smaller than before. AppleApple doesn’t need huge bezels to hide this camera on an iPad. The current 10.5-inch iPad Pro starts at $US649 and the larger, 12.9-inch model starts at $US799. The update prices will probably be similar. 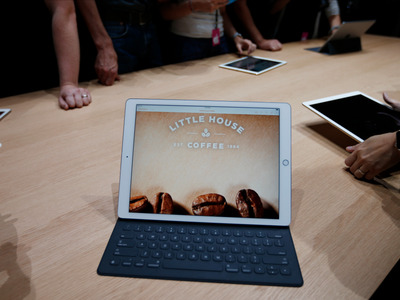 There won’t be any new updates to the iPad or the iPad Mini, according to Bloomberg. New iPads aren’t the only thing that Apple’s been working on. 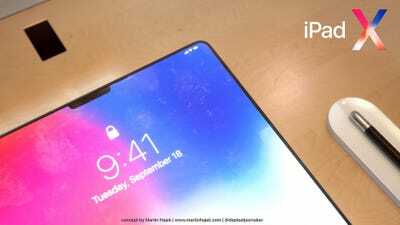 Rumours have suggested a busy fall for the Cupertino-based company, with new iPhones, Apple Watches, AirPods, and potentially even a new MacBook Air being prepared for launch this fall.